Angel Beads | Zonyxa. Unique and contemporary jewellery for Work. Love. Play. 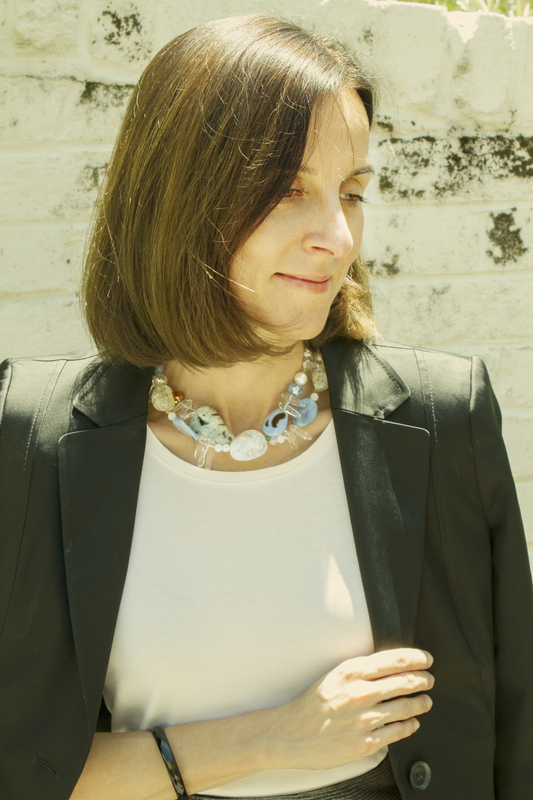 The magnificent playfulness of this necklace comes thanks to two lightly spotted jaspers, each carved into a charming leaf shape, which are then surrounded with delicate freshwater pearls and pale blue ovals of chalcedony. Crystal, in variety of shapes from faceted nuggets and crazed irregular stones, to lozenge and ice crystal balls, emphasizes the zest of this piece which is further enhanced with Swarovski multi-colour “disco-balls.” The result is a fascinating play of light, a promising sparkle for day or night. 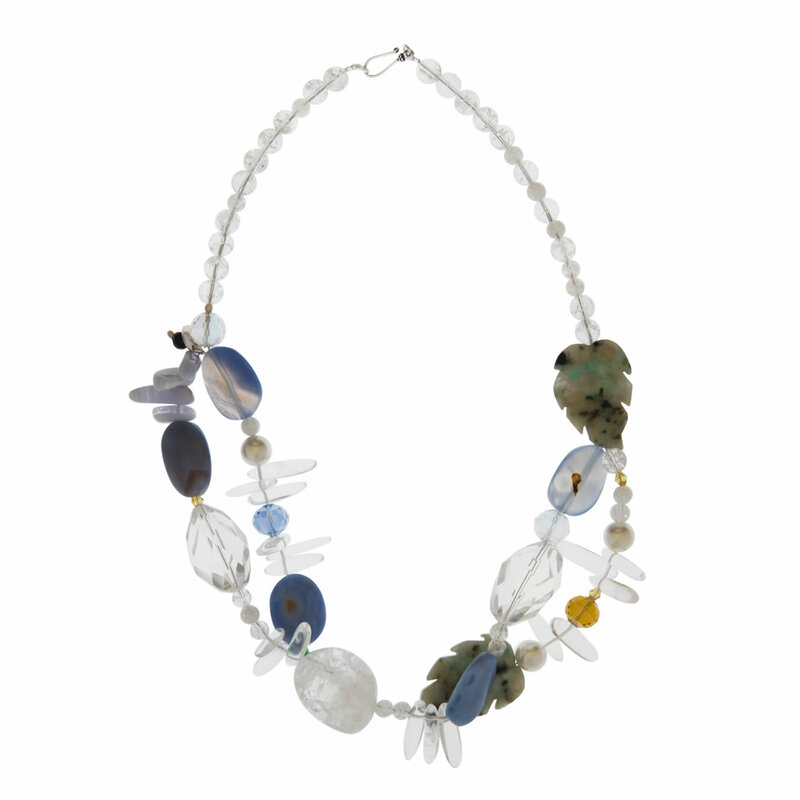 Materials: Crystal, freshwater pearls, chalcedony, jasper, Swarovski crystal and ice quartz necklace.